At last I can finally show you the baby quilt I made a couple of months ago for issue 14 of Fat Quarterly magazine. I am really bad at keeping quilty secrets (not any other kind though – with those I am excellent), so this has been driving me CRAZY! This little quilt was another of those insomnia-inducing ideas. 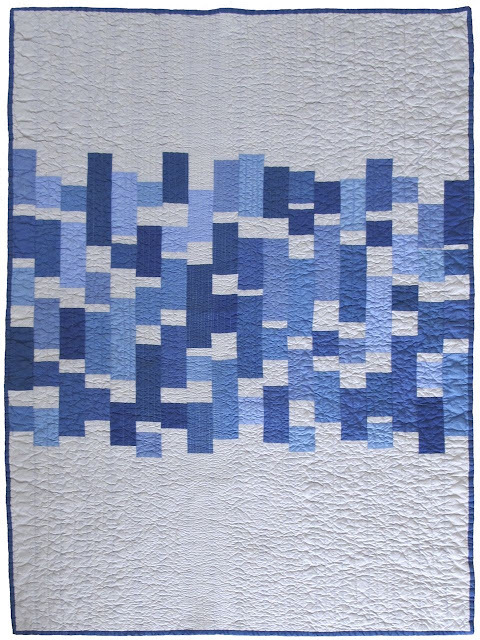 I wanted to make a not-too-babyish quilt for a new great nephew who will be arriving soon, and of course Oakshotts were the way to go. I love them so much it’s like an illness. 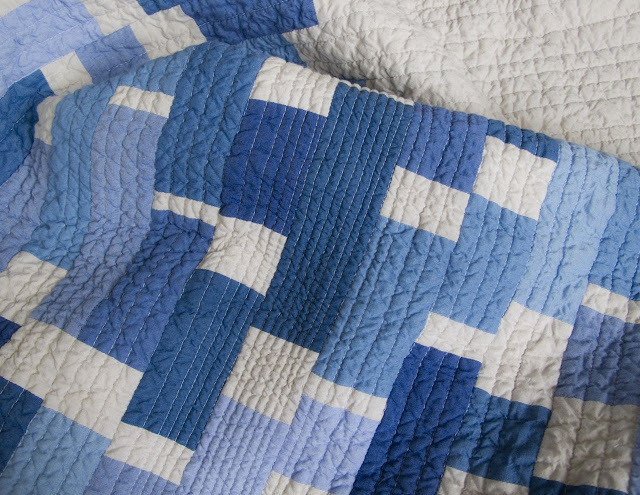 The final quilt is so soft and light – all thanks to the gorgeous fabric. I used the blues from a Water F8th bundle, and excitingly I will have another bundle to share with one of you next week, so make sure you check back soon. Giveaways seem to be like buses on this blog – you wait for ages and then two come along at once!